Living in Victoria, BC, Canada, Ursula has over 40 years experience! Ursula's clairvoyance coupled with years of Palmistry and Numerology experience have made her a reputable psychic reader, lecturer, TV and Radio personality and author. 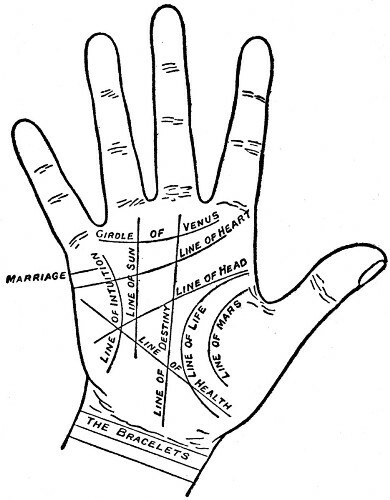 A Palmistry and Numerology reading can reveal surprising truths about your character and personality, as well as forecast major life directions and cycles, health, career and personal relationships. Discover your 'power' numbers and what they mean for you. When are the most important years of your life, and why? In this site, everyone can share in the remarkable knowledge of these ancient arts/sciences, where much of the written works here have never been published before. Whether you are experienced or novice in these fields, or just curious, the following articles will not only enrich your life with helpful insights, but also entertain you with amusing tales and intriguing stories from the many clients that sat at the reading table under my faithful reading lamp.